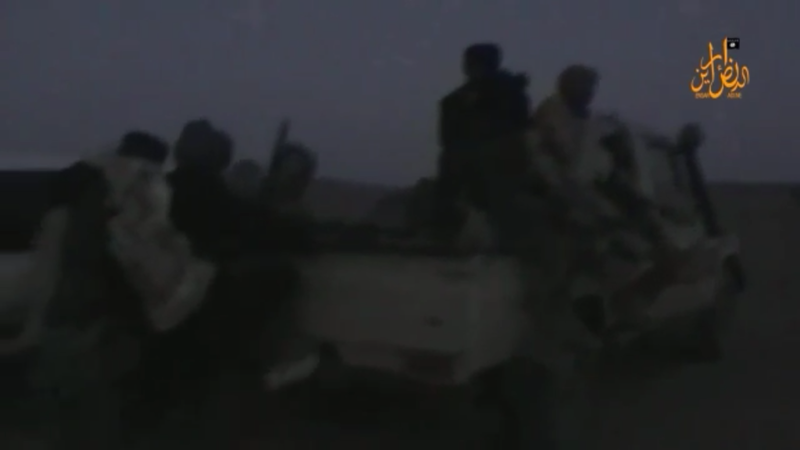 In a low-quality video released earlier last week, Ansar Dine, a largely Tuareg front group for al Qaeda in the Islamic Maghreb (AQIM), highlights its coordinated assault on a Tuareg separatist group in northern Mali last month. 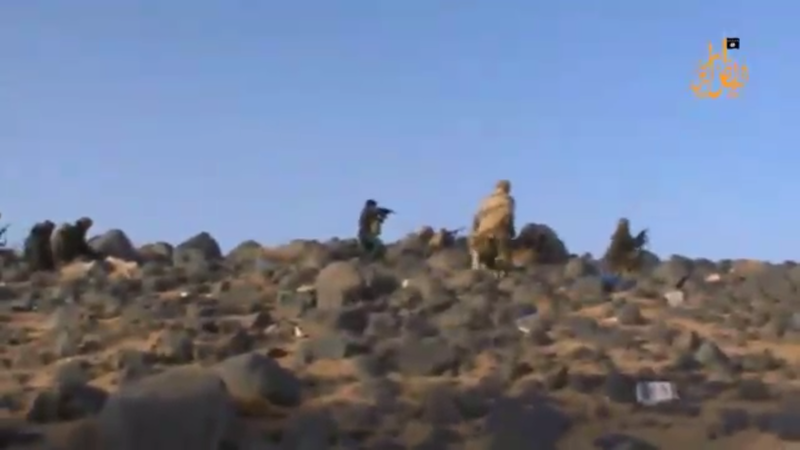 The separatist group, the National Movement for the Liberation of Azawad (MNLA), previously worked with Ansar Dine and other al Qaeda groups to take over Mali’s north in 2012. 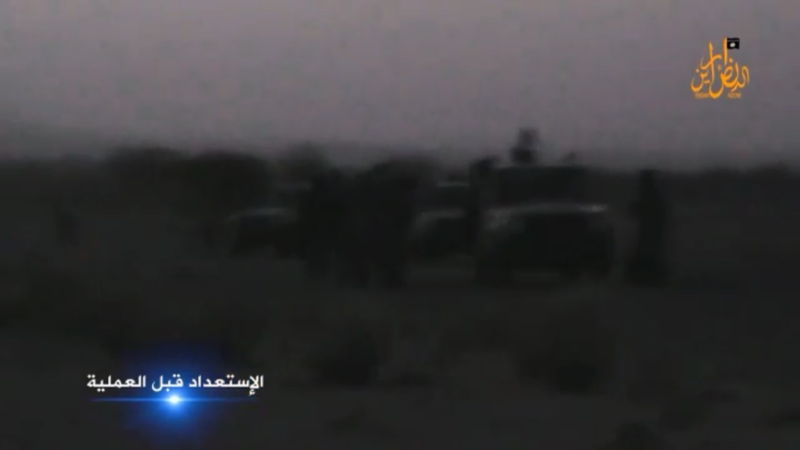 It then shifts to showing the preparation and then execution of the assault on the MNLA-held town of Talhandak, close to the Algerian border. The jihadists are shown attacking the town with technicals (armed pickup trucks), variants of the AK-47 assault rifle, light machine guns, and rocket-propelled grenades (RPG’s). 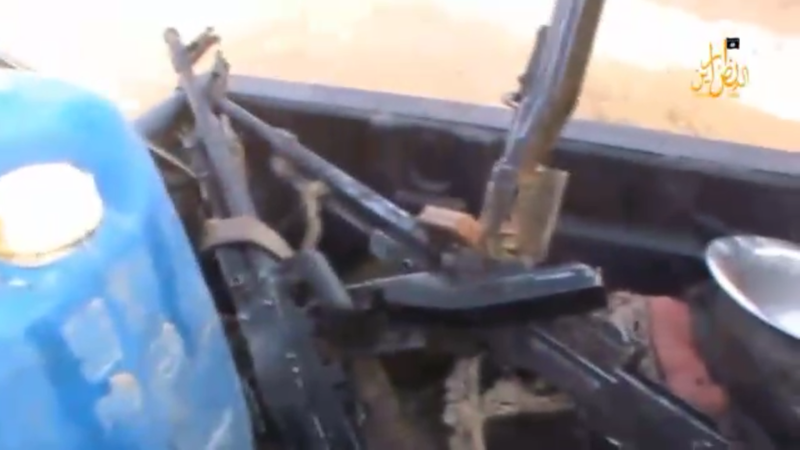 The last few minutes of the video shows the jihadists collecting their “spoils” of weapons and then burning a truck that belonged to the MNLA. 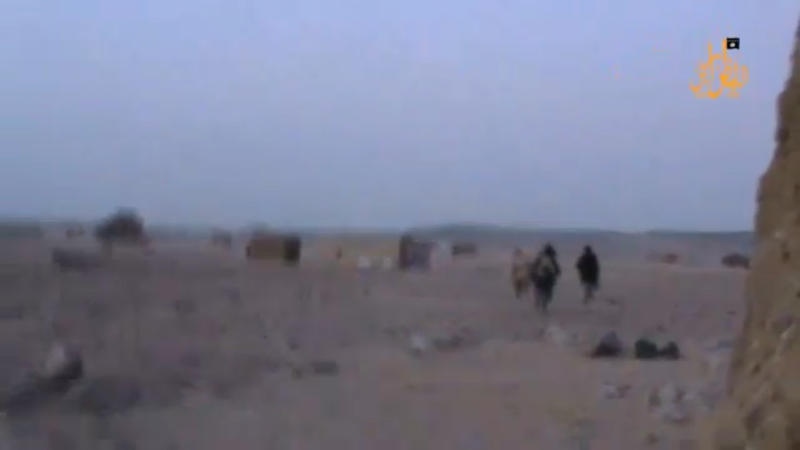 According to the video, 11 members of the MNLA were killed in the operation. 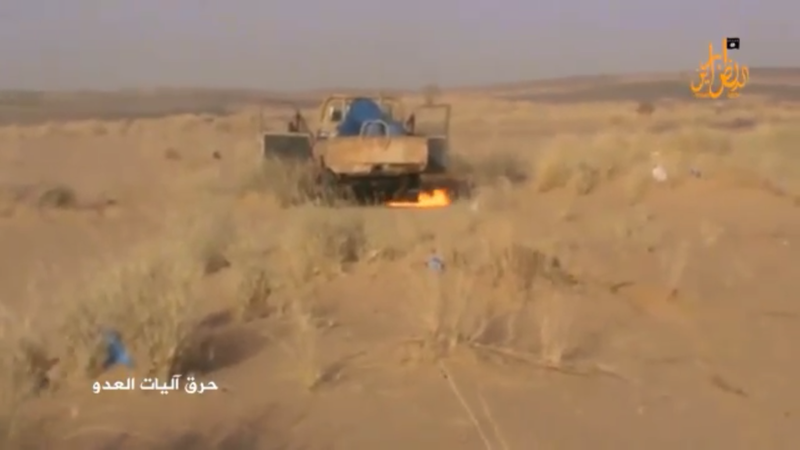 Additionally, four vehicles were burned, two were captured, and Ansar Dine took control of the town “after four hours of the battle.” The capture of Talhandak was reportedly confirmed by Sahara Media last month. 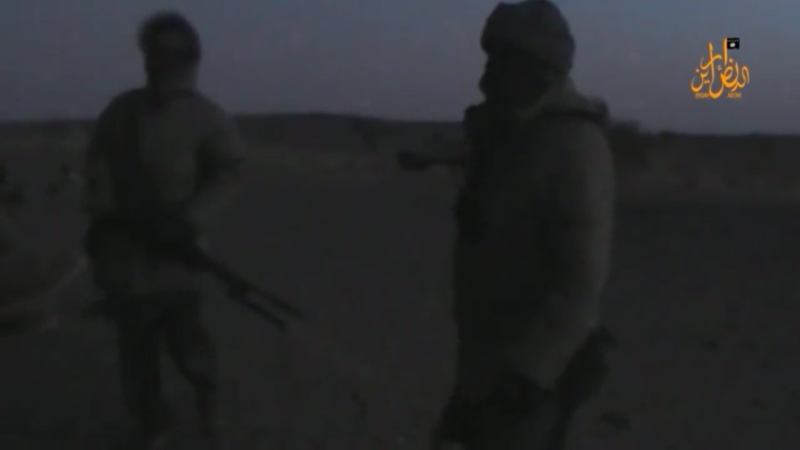 The attack and subsequent video come as tensions between Ansar Dine and separatist Tuareg groups have escalated. 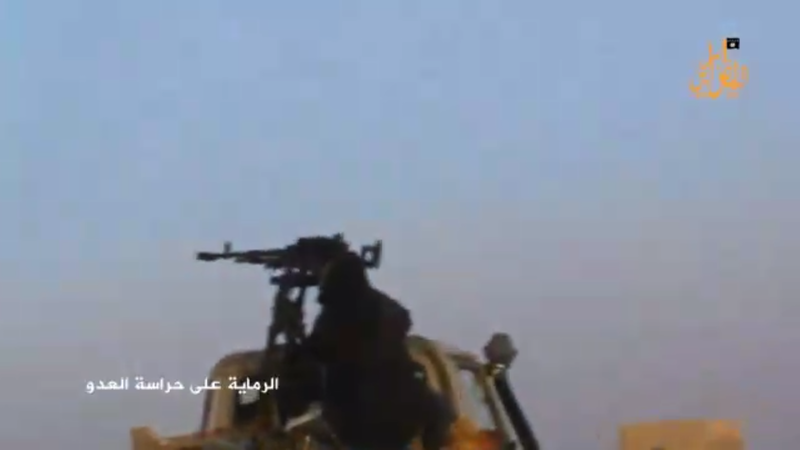 According to some reports, Ansar Dine and the MNLA have officially declared war on each other and the two have seen other clashes and kidnappings of members of their respective groups. 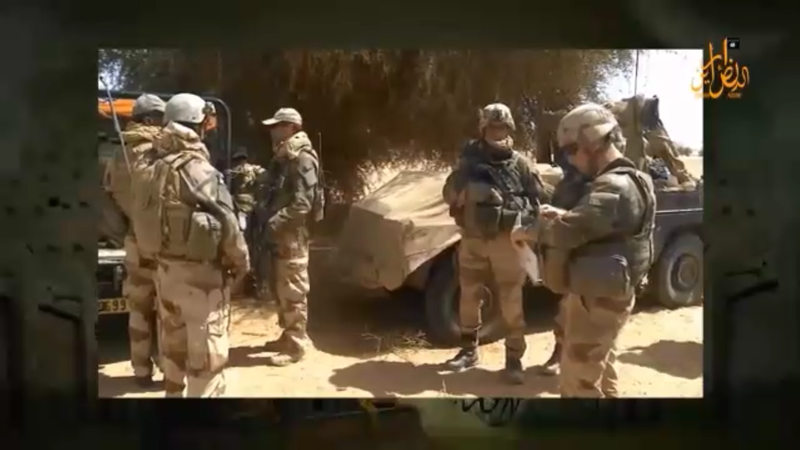 One MNLA source told Jeune Afrique that the group has been able to seize “16 vehicles and around 60 motorcycles” from Ansar Dine, as well as a plethora of weapons, ammunition and cell phones since 2014.